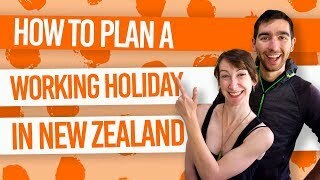 Where to ski and snowboard in New Zealand? New Zealand is a top destination for Southern Hemisphere skiing. While most of the world are topping up their tan, travellers on working holidays or backpacking are able to shred some powder in outstanding New Zealand landscapes. But where are the best places to ski and snowboard in New Zealand? New Zealand ski fields are by no means massive, but the country does offer large commercial ski areas and small club fields that give a genuine Kiwi ski experience. How about skiing down an active volcano or in the famous Middle-earth scenery of the Southern Alps? Also find out whether you prefer the North or the South Island ski at Ski Season in New Zealand: North Island or South Island?, as well as working on a ski field at What it is Like to Work on a New Zealand Ski Field. Make sure you check out The 24 Ski Fields in New Zealand to familiarise yourself with all of New Zealand’s ski fields. Cardrona is a safe bet, a good all-rounder, something for everyone, yada yada… That’s why this Wanaka ski field makes the top of our list. Prefer to pump it at a huge terrain park: well Cardrona has one of the biggest in New Zealand! Or if you would rather cruise the trails or find some off-peak areas, then there is that too! Cardrona is near the town of Wanaka. For more information, see Wanaka – Guide for Backpackers. With wide runs coming from the main chairlift, The Remarkables is the perfect place for beginners and improving your skills. The terrain parks are some of the best in the Queenstown area. Plus, the alpine scenery and viewpoints you can access are pretty darn special. 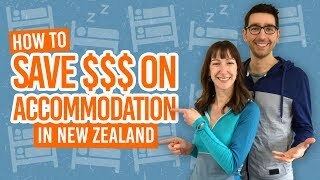 Find out more in Queenstown – Guide for Backpackers. For real powderhounds, Craigieburn is the most challenging ski field. It is privately owned, so gives you the authentic Kiwi ski experience. Find this ski field in the Canterbury region of the South Island. A big ski field which has a lot to offer advanced and expert riders. Intermediates will enjoy Treble Cone too with its steep trails and 6-seat express lift, so you can do a lot of vertical metres. Treble Cone is near Wanaka in the South Island. Despite sometimes living up to its nickname “Mt Shut” due to strong winds, Mt Hutt gets some of the best snow conditions in NZ. Mt Hutt is in the Canterbury region with Methven being the nearest township. A stunning location to ski and snowboard in New Zealand, Roundhill is in the beautiful Lake Tekapo area of Canterbury. The family-owned ski field provides that authentic Kiwi ski field experience while still being suitable for beginners to experienced riders and skiers. For freestylers, you can definitely make use of the terrain park. Suited up with snow cannons, Coronet Peak is determined to give you something to ride on as the ski field is not very high. After a heavy dump, there are plenty of steep runs merging together to please any intermediate or advanced rider or skier. Coronet Peak is near Queenstown in the South Island. Great for beginners or the super fit. To get to the top you must endure three T-bars. Heavy on the legs, indeed. then you can opt to continue the leg burn by taking the longest route down via black run Big Mama. Porters is in the Canterbury region of the South Island. Whakapapa has a sister on Mt Ruapehu and she is called Turoa. This ski resort, like Whakapapa, can stay open all the way to the end of October. Plus, it has the longest vertical run in New Zealand meaning it’s a place where you can really rack up the vertical metres.